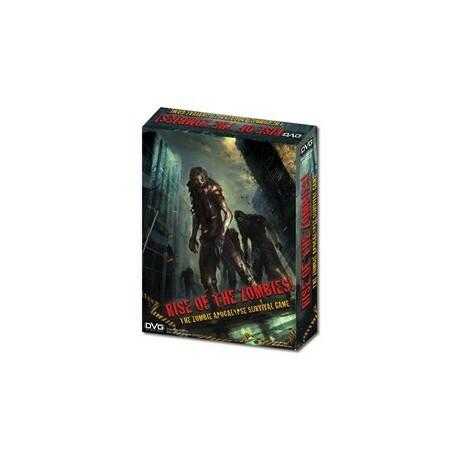 Rise of the Zombies est un jeu de carte joué en temps limité, où vous devrez vous entraider pour tuer les zombies... ou pas ! 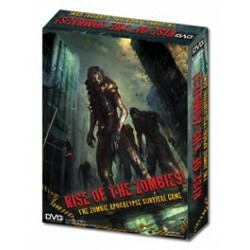 Rise of the Zombies is for 1 to 8 players. A game lasts for 30 to 90 minutes. You'll start a timer at the start of the game. If you run out of time, the Rescue Helicopter flies away, and everyone dies. All players play cards during a common "Survivor Turn". At the start of the Survivor Turn, all players can discard and draw until the number of cards in their hands is equal to their Hand Sizes. There are no player turns. 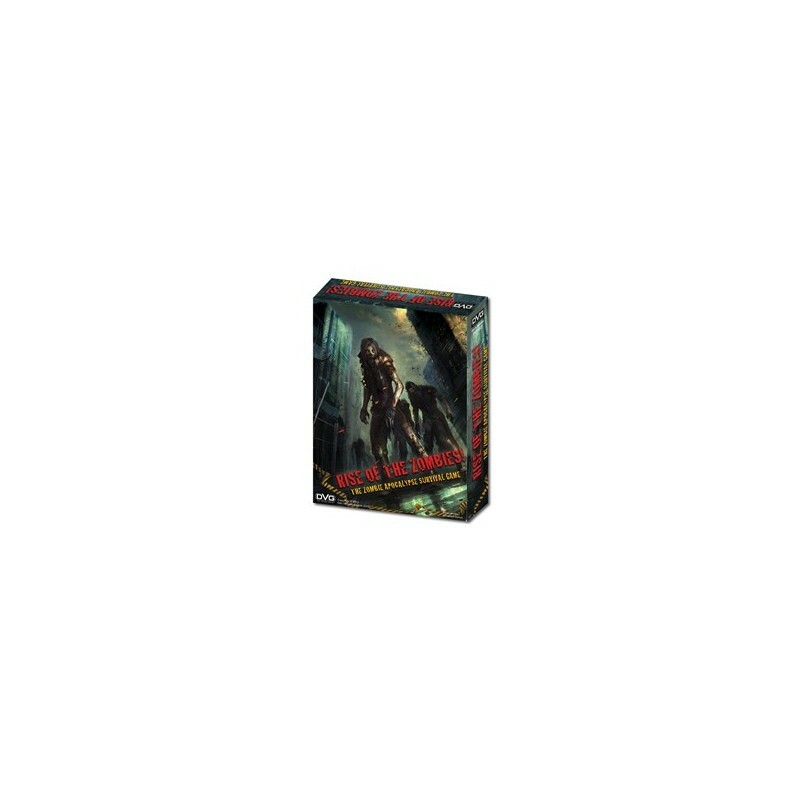 Declare what you are doing, which card you are playing, and which zombie you are attacking, and roll dice. This simulates the chaos of combat. Most cards can be used to perform more than 1 function. You can perform as many actions during the Survivor Turn as your cards can support. You can even trade weapons and items with other Survivors in your Location. Once all players have resolved their actions, the Zombies get to attack. It then starts again with the common Survivor Turn. You'll need to not only act like a hero, but also work well as part of your team if you hope to survive. If you go running off ahead and no one else has the cards to follow, you'll be fighting a herd of Zombies on your own - and probably dying. On the other hand, if you can't keep up with the other Survivors, you'll soon hear words like, "You wait right here, we'll come back for you." Um, yeah. Combat is fast and easy. Roll a 6-sided die, add your bonuses and check your Weapon card to see how many Wounds you inflicted. The higher you roll, the more Wounds you inflict. If you inflict the killing attack on a Zombie card, you claim the card and its Experience value. Turn in your Zombie cards to upgrade weapons, buy items, and purchase skills. You can also give weapons and items to another Survivor to help them out of a tough situation. How you play the game is up to you. You don't gain anything by having other Survivors die, but if you spend too much time trying to help others, it might cost you your own survival. Help them? Leave them behind? It's all up to you.